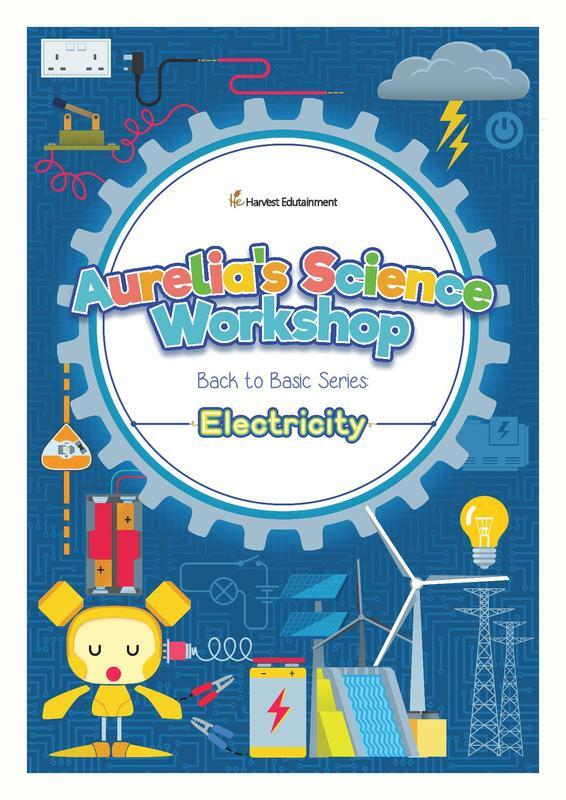 Join us in our highly engaging Aurelia’s Science Workshop Back-to-Basics: Electricity this coming June School Holidays 2018. Returning to the fundamentals of Electricity is pivotal in turning the child’s confusion on this topic to one of clarity. Once a child’s foundation of the topic is strong, he/she is more likely to be able to make inference and eventually develop the ability to apply the knowledge gained to solve questions. Back-to-Basics: Electricity workshop is developed for visual learners. The workshop content is illustrated, colourful and clearly laid out. It turns a challenging topic into a visually interesting one, thereby allowing the students to enjoy learning about electricity, through the use of multimedia and HANDS on approach of conducting multiple experiments themselves. This workshop is open to P3 to P6. It is particularly suitable for those without prior knowledge on electricity or for those who are experiencing difficulties in this area. At the end of this workshop, they should be able to answer most of the questions typically seen in school examination papers or during PSLE. Each child will bring home a goody bag worth $100. Due to limited seats available for each session, please register early. Click here to see all the available sessions and book through this website. For inquires, please email Aurelia at aurelia@harvestedutainment.com or message us privately on Facebook. This is a strictly drop off programme. Harvest Edutainment Pte Ltd reserves the rights to change the venue for the events. Fees paid are STRICTLY NON-REFUNDABLE unless the workshop is cancelled by Harvest Edutainment Pte Ltd. Kindly check to confirm your personal schedule BEFORE signing up for the workshop. If the workshop is cancelled due to unforeseen circumstances or if the minimum quorum is not reached, all workshop attendees will be informed via email or sms 2 working days beforehand. Full refund of fees will be made. By attending this event, I understand that official photography and videography may be taken at this workshop for Harvest Edutainment's internal and external publicity use.